Powerful, reliable, and lightweight, the Inogen One G2 is one of the world’s most popular portable oxygen concentrators. 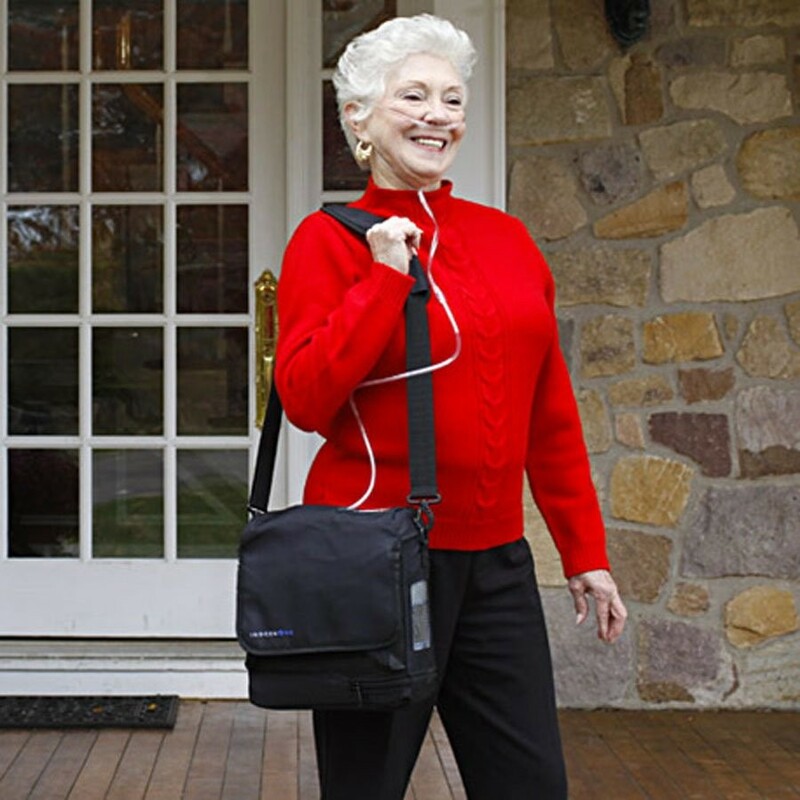 Inogen has been a household name in the oxygen concentrator market since the beginning with the original Inogen One portable oxygen concentrator. The Inogen One G2 is a well-rounded portable concentrator that offers high pulse flow settings and a long lasting battery with a proven track record of reliability. The Inogen One G2 is a great unit to use to make the transition from tanks to a portable oxygen concentrator. Weighing just 7 pounds, the G2 is light enough to be carried wherever you go. However, it does come with a wheeled travel cart to make transporting it easier. Whether you’ve just been prescribed oxygen or have been on oxygen for a while, the Inogen One G2 is equipped with a user-friendly control panel and many beneficial features to make the transition to a portable oxygen concentrator as easy as can be. Offering pulse flow settings 1-6 and weighing only 7 pounds, the Inogen One G2 is one of the lightest full capacity portables on the market. With such a wide oxygen output range, the G2 can accommodate the unique needs of most oxygen patients. It also gives you peace of mind knowing that if your flow rate increases, you have up to 6 pulse flow settings to use on one machine. Most respiratory diseases like COPD are progressive meaning that over time your symptoms and flare-ups tend to worsen. To account for the progressive nature or your disease, your doctor may increase your flow rate to ensure your body is getting enough oxygen. Running portable oxygen tanks at higher flow rates depletes your oxygen supply much faster which ultimately causes you to carry multiple tanks with you at all times. With the Inogen One G2 you get up to 4 hours of battery life on the highest setting and you have the ability to swap batteries out when one dies. One of the most popular features of the Inogen One G2 is the long battery life. There are two battery options available for the G2; the standard 12-cell and extended 24-cell. Using the 12-cell battery keeps the G2 at 7 pounds and supplies you with up to 4 hours of battery life. Using the 24-cell battery puts the G2 at 8.5 pounds and supplies you with up to 8 hours of battery life. Having two battery options gives you the freedom of choosing between longer battery life or having a lighter concentrator. This allows you to customize your experience based on what you need to get done. For example you can use the 12-cell battery for a quick errand or for exercising. The 24-cell battery is perfect for long day trips and traveling. While something may be comfortable and work for one person that does not mean that it will be comfortable and work for you. This holds true in all facets of life and the design of the Inogen One G2 allows you to custom tailor your oxygen experience. The unit weighs between 7 and 8.5 pounds depending on which battery you use. While some people may be able to comfortably carry up to 8.5 pounds, you may not. Which is why the G2 comes with a standard custom carrying case that can be carried over your shoulder and a wheeled traveling cart to accommodate your personal needs. You can also use the optional Inogen One G2 custom backpack, but that is not included in the G2 package. Whether you are on vacation or dozing off at home, the Inogen One G2 can be used as your nighttime oxygen source. The days of renting a stationary concentrator on vacation are over. With the Intelligent Delivery Technology, the Inogen One G2 reads your breathing rate and increases each bolus dose as your breathing rate slows. The G2 can even detect shallow mouth breaths while you sleep and triggers a bolus dose based on a fixed minute volume. Traveling and hectic days are made easy with the Inogen One G2. 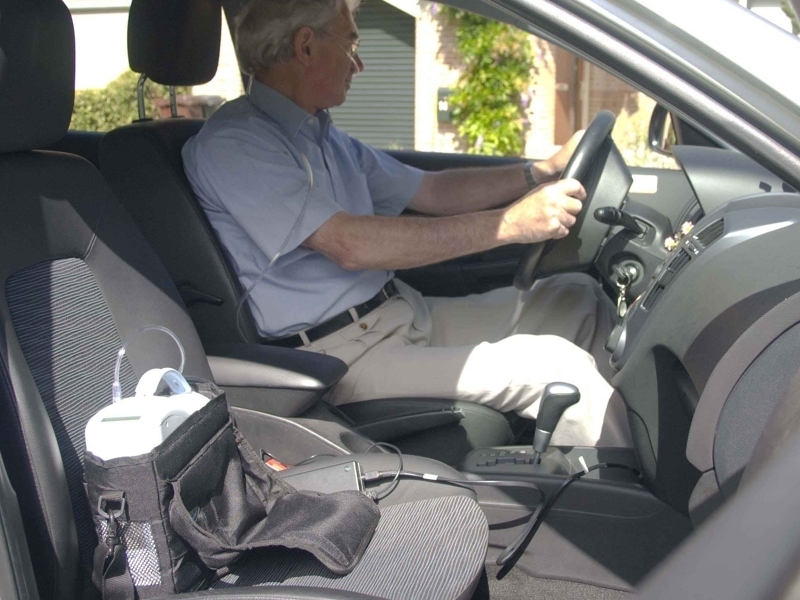 Although it is a battery operated portable oxygen concentrator, there will be times that you need to recharge your batteries while you are out and about or there may be times that you simply need to power your concentrator for an extended period of time. The Inogen One G2 is fully functional on both the AC and DC power supply, which means that you can run it on all 6 pulse flow settings and it will supply you with oxygen and recharge your battery simultaneously. Whether you need to recharge your batteries on the go with the DC power supply or power your G2 for nighttime use with the AC power supply, you can relax knowing your concentrator has a consistent delivery of power during all times of use. If you purchased extra batteries for daily use or a special vacation, which is highly recommended, you will be able to charge an extra battery on the side with the addition of the optional external battery charger. Compatible with any standard AC power outlet, simply attach an additional 12 or 24-cell battery to the external charger before you head out and once you return a few hours later the battery will be fully charged and ready to use!